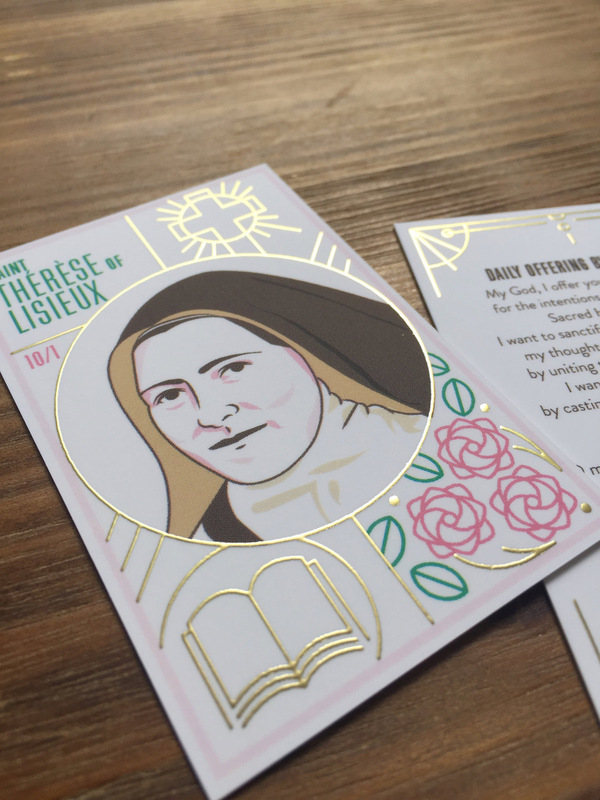 Tricia Dugat // Providential Co.
Tricia from Providential Co. designed the beautiful St. Therese of Lisieux holy card in this month’s box. Tricia admires St. Therese as an amazing saint and thinks her “little way” provides hope, especially for people like her, for the path to holiness. She has been a professional graphic designer since 2000. Since becoming Catholic and then studying theology, she wanted to use her skills to create things that glorify God. Finally, after many years of being too afraid to start, she began creating designs for Providential Co at the beginning of 2016. 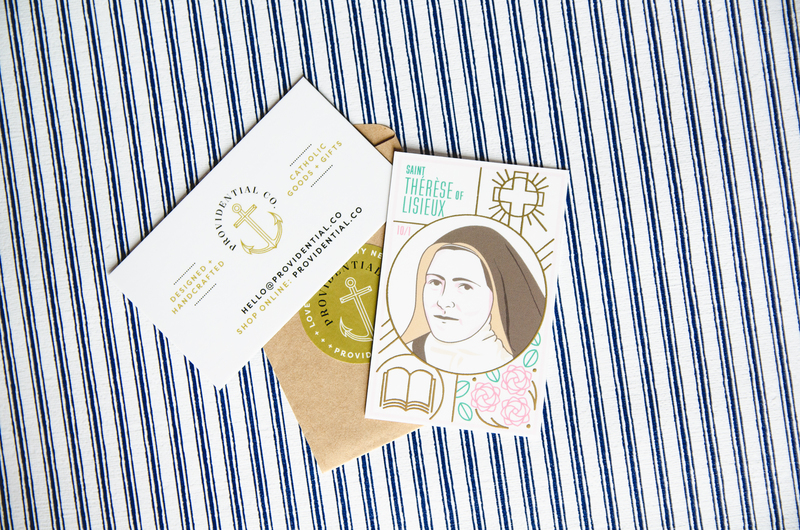 Her mission is to share the beauty of the Gospel through thoughtfully designed and crafted goods. When Tricia sits down to create something, it requires research, prayers, and meditation on what the piece is centered around. 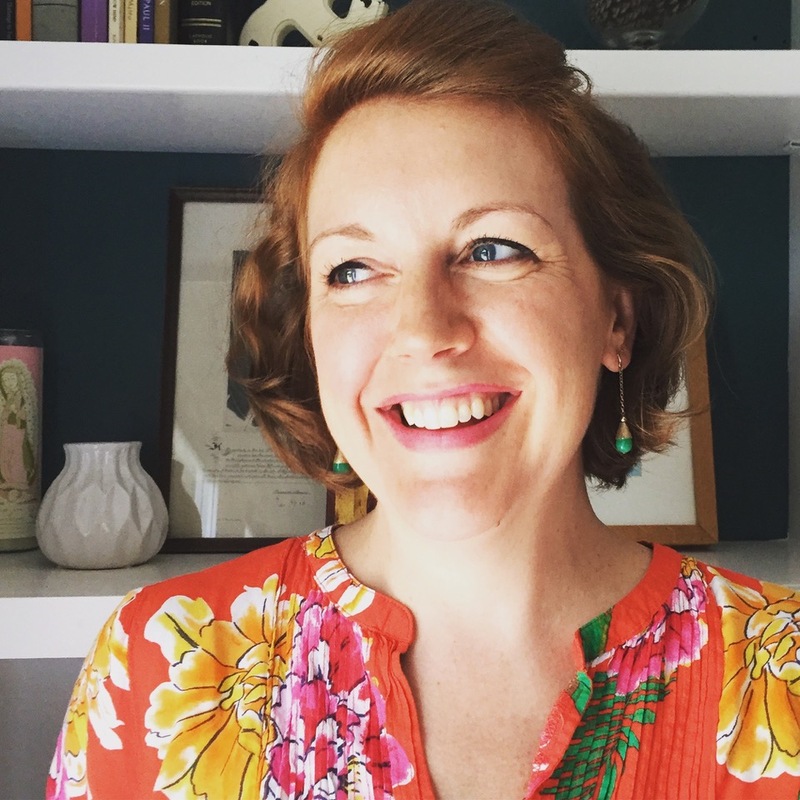 She tries to frequently invite the Holy Spirit into her creative process to lead her. She also asks God to help her customers and has seen such beautiful ways that her items have been used to help them. Providential Co supports Adore Ministries in Houston. They are looking at creating a giving model for next year, which will give a percentage of all sales to benefit a different charity each quarter. When Tricia first started her business, she posted the artwork for her prayer candles on a design website. She was connected with Life Teen and they wanted to include her candles in their summer conference gift shops as well as their brick and mortar store in Atlanta. The only problem was her candles were not shipping well over long distances. She had sent some to a customer in California and they arrived melted with ruined labels. So, she and her husband decided to make a road trip to take the candles all the way form Houston to Phoenix. They loaded up their old family van and headed out. The trip was a success and the next day after they returned home, the transmission on the van died. Tricia is certain that there were guardian angles involved on their journey!